The Stern–Geary constant (B value) is indispensable to measure the corrosion rate in the microbiologically influenced corrosion (MIC) systems. 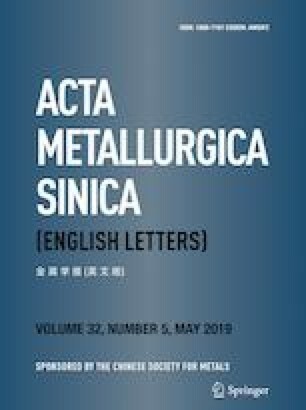 Linear polarization resistance (LPR) and weight loss methods were used to study the variation of B values for X80 pipeline steel in the presence of Pseudomonas aeruginosa, Acetobacter aceti and Desulfovibrio vulgaris. The results showed that B values in the presence of three different bacteria were 35.60 ± 0.55 mV, 33.00 ± 1.00 mV and 58.60 ± 0.55 mV, respectively, suggesting that the change of corrosion system significantly affected the B values of X80 pipeline steel. This work further indicated that the determination of B values is necessary to accurately measure the MIC rate by LPR method. The online version of this article ( https://doi.org/10.1007/s40195-019-00902-6) contains supplementary material, which is available to authorized users. This work was financially supported by the National Natural Science Foundation of China (Nos. U1660118 and 51871050), the National Environmental Corrosion Platform (NECP) of China and Shenzhen Science and Technology Research Funding (JCYJ20160608153641020).